The director discusses his hit “Tokyo Sonata”. 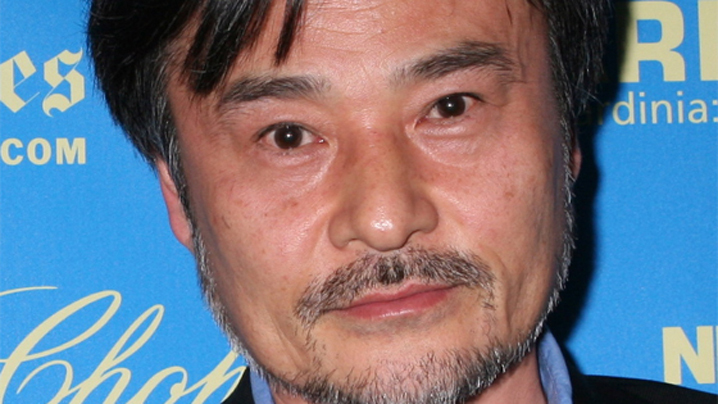 Above: director Kiyoshi Kurosawa at the New York Film Festival. Photo credit: C. J. Contino. Japanese director Kiyoshi Kurosawa is on the verge of a major surge in his international visibility. Although his career as a filmmaker began in the 1980s, it was not until the J-horror wave of films in the mid-90s that Kurosawa became noticed in the US. Lazily categorized within that horror movement, films like Cure (1997), Pulse (2001), and Charisma (1999) were actually utilizing the conventions of the genres to get at far deeper societal plagues than simple ghosts and goblins. As the focus on family in Bright Future (2003) and comedy in Doppelganger (2003) made clear, Kurosawa fluently could move from subject to subject while still employing the style that made his “horror” films so notable: intensive attention given to atmosphere expressed through an eerie, multi-dimensional uses of space, and the employment of dramatic and narrative conventions to evoke a world of human relations gone horribly wrong. Tokyo Sonata, which premiered at the 2008 Cannes Film Festival, is in many ways the director doing the same thing again; that is, a rich, masterful creation of an utterly unique and completely uncanny portrait of the modern world. But more importantly, it is Kurosawa again jumping genres, only this time far more obviously: Tokyo Sonata is a family drama. With this foray into the “safer” and more “accessible” subject of an unhappy urban family, Kurosawa shows once and for all the breadth and flexibility of a distinctive vision too often dismissed as genre cinema. KIYOSHI KUROSAWA: I’ve made so many movies that seem to fit into the horror genre that I can see why you might feel that, but I actually don’t see Tokyo Sonata as a horror film. For me, when I make a horror film its central question I’m confronting is “death”: what is death? This time, that is not the central question. NOTEBOOK: I nevertheless see a similarity to "horror" in the way the world is represented in the film. Usually, say in one of your horror or detective stories, a murder signifies that something is broken in society, a situation which permeates an atmosphere of ominous horror. In Tokyo Sonata that “broken” element is the unemployment of the father and domestic unhappiness, so the source is different, but I still feel that the world is suffering from a similar kind of alienation, loneliness, and fear. NOTEBOOK: Horror definitely accomplishes that, but so does comedy. What I was really happy to see in this film was that, like in Doppelganger, there is a lot more humor, a streak of absurdist comedy. You do a tremendous job of connecting these things, horror and comedy, for the precise reason you just said: they both make the world seem upside down, strange, and different. KUROSAWA: Yes, I think as you say comedy works the same as horror. Even if you are just making a film that is heavy and realistic, the most compelling thing about the experience of watching a film is taking an experience that one takes for granted and then changing the rules or flipping them, and I think, simply that’s film—that’s the pleasure of making them and that’s the pleasure of watching them. NOTEBOOK: Could you talk a little bit about the musical score to the film [by Kazumasa Hashimoto], which I found fantastic and strange, it sounded quite whimsical and lo-fi. KUROSAWA: I didn’t immediately request that kind of music from the composer. In fact, because I knew there would be this important piano recital at the end of the film, I wanted to keep the rest of the music to an absolute minimum. But, if there was going to be music, I wanted it to create a good impression and be very memorable. What I did was I consulted with a lot of music experts about what kind of music I could put in, and wound up deciding on music that was composed on an analog synthesizer from the late 1960s, early 70s, and used a sampling machine. NOTEBOOK: In many of your films, including this one, you use a very noticeably artificial back projection during some sequences shot when characters are driving. I’m curious about this distinct artificiality and why you like to use this device. KUROSAWA: Certainly I do use a lot of rear-screen projection to make it seem “fake.” It would be easy enough to show a tracking shot of a moving car in a real location. But for me, when I hold the inside of a moving vehicle, the space that characters are occupying is a particular space in which, often, unspoken truths are revealed and the relationship between characters is actually transformed. So, in fact, to the characters inside that space [inside the car], the scenes outside of them are close to irrelevant, and what’s more important is this particular, unique space, this dramatic space—and that’s what I’m emphasizing. KUROSAWA: I think your mentioning Fritz Lang is appropriate. I am always interested in trying to create a frame that resembles the kind of theatrical frames that we found in the old studio system movies: camera in a completely ideal position, sunlight streaming in from an impossible angle. But given the realities of film budgets in Japan, I can’t afford to build sets so I have to work with existing locations, finding those impossible angles and possibly unnatural lighting to achieve this effect. I’ve sort of settled into my very own personal style. The strange thing that happened this time [with Tokyo Sonata] is that we actually built the interior of the family’s home on a set. But instead of just shooting with the kind of freedom that, say, Lang would have had, I intentionally created an uncomfortable, limited set, building in as many impediments as I could. So we built permanent walls, we built pillars, we built a ceiling: the sun and lighting could only come in through the window! We tried to make it as limiting as possible, to resemble the kind of style I’ve achieved working on locations. NOTEBOOK: What I also like about your set design and your depiction of space is that, although places like an office or a home seem realistically inhabited at the moment a scene is taking place, all the spaces nevertheless seem temporary. People are almost like ghosts passing through spaces that they use for a moment; no space seems “lived in,” it’s just “inhabited” before the humans move on. KUROSAWA: I think it’s very interesting you point out this temporariness, though I don’t know if I’m that conscious of it. I think that something about my sense of life, that I’m not crazy about conveying a sense of individual humans who have “melted” into environment. I think that places and humans are fundamentally not kind to each other, and whatever time a person spends in a particular place, it is temporary, as is the nature of places—they also shift and move. I guess unconsciously when I’m looking for a location I wind up settling on places that have that feel. NOTEBOOK: On the whole you tend to focus on one character who is beset by the outside world: there is something wrong in the outside world and it seeps in. Here, it is unemployment and the economy. What seems new for you is that because you are focusing on the family unit, not just the father, there is something wrong or “off” inside too. It’s not just that the father goes out and finds the world a mess and comes back; it’s that there are problems inside as well. KUROSAWA: I initially dismissed the idea of portraying an average family as being very static, but I think that what I realized was that everybody, though they belong to a family, they go out into the world. So, if you think about it, every one of them confronts their own set of problems and issues out in the world—and then they bring those back home, into the family. So I found that the family drama really had the potential for a real dynamic space for all these forces colliding. Many thanks to Linda Hoaglund for translating our conversation.